This Sunday the Murray Cup gets underway for teams in regional NSW and Victoria. 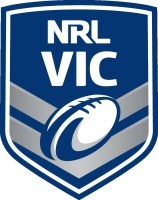 This year there will be eight teams competing, with four from Victoria. 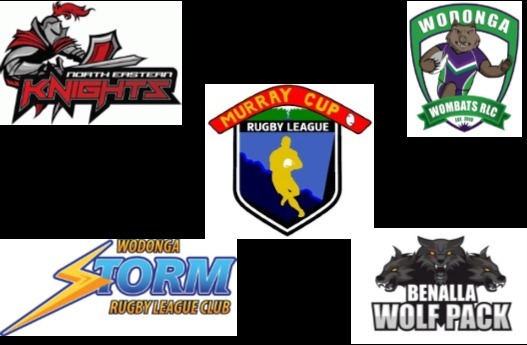 The Victorian teams are the Wodonga Storm, Wodonga Wombats, North East Knights and the newly formed Benalla Wolfpack. In round one the Benalla Wolfpack will face off against the Wodonga Wombats, in both the men’s and women’s competitions. Benalla will be keen to get off to a good start in their debut season with early wins. Benalla President Wade Splitty is looking forward to the match. “I’m pretty confident in the senior men,” he said. According to Wade the Women’s side is looking strong ahead of the season, however the Wombats haven’t been able to fill a complete side for their clash. While the Wombat’s women are struggling for numbers, the men’s side are looking alright according to president Sten Sakkas. “The men are looking ok, we’ve got 22 guys,” he said. Fitness was a problem for the Wombats in 2018, however Sakkas believes that might change in 2018. “We managed to pick up some younger fitter guys, which will be good,” he said. Asked about any expectations, the president was realistic. The Wodonga Storm host the CSU Mud Dogs at Baranduda Reserve. After finishing 2018 as premiers in the men’s and runners up in the women’s competition, the Storm sides will once again be strong in 2018.The Mud Dogs should prove tough opposition however after finishing 2018 fourth in the men’s and first in the women’s competition. According to club president Bill Bell the men’s side will have a different look about them this year. Bell admitted that there is extra pressure that come’s with being the reigning premiers in both competitions, however he said the storm only have one goal in mind now. “Everyone wants to knock you off and this year the league’s a bit stronger,” he said. In the Grand Final rematch, the Storm women will be out for revenge. They lost last years final to the Dogs and Bell believes they will be “competitive” again this year. The final Victorian team, the North Eastern Knights do battle with the Murray River Warriors. The Knights will be looking to play finals this season in the men’s after missing out in 2018, in fifth position. To win they will have to overcome a strong Warriors outfit who were runners up last year. Similarly, in the women’s competition the Knights finished fifth and will face a tough battle from the Warriors, who finished third.